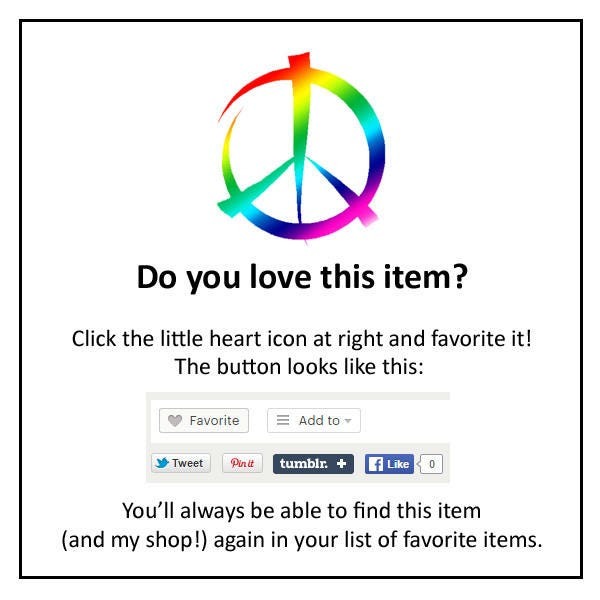 It doesn't have to be Earth Day to wear a Peace, Baby! 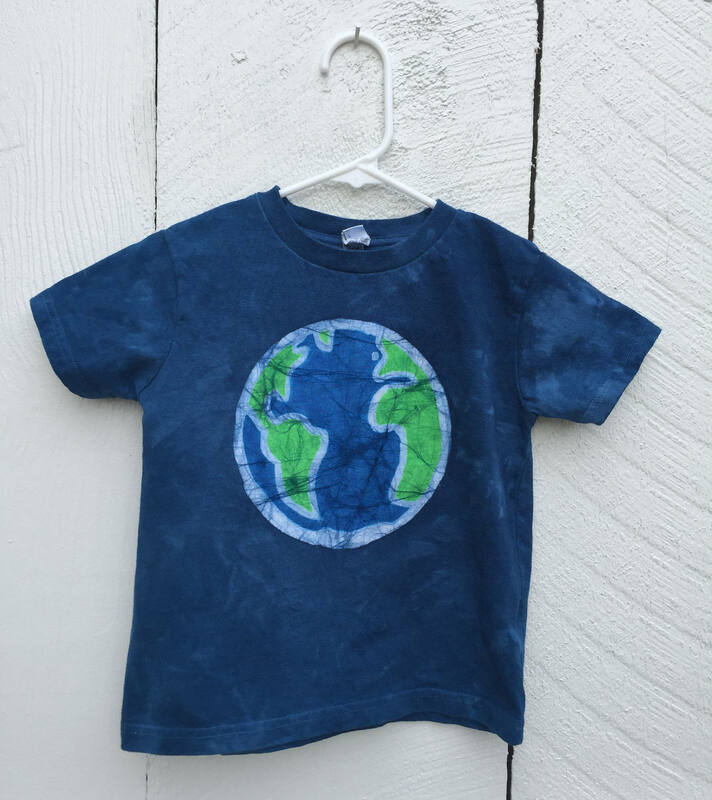 Earth tee! 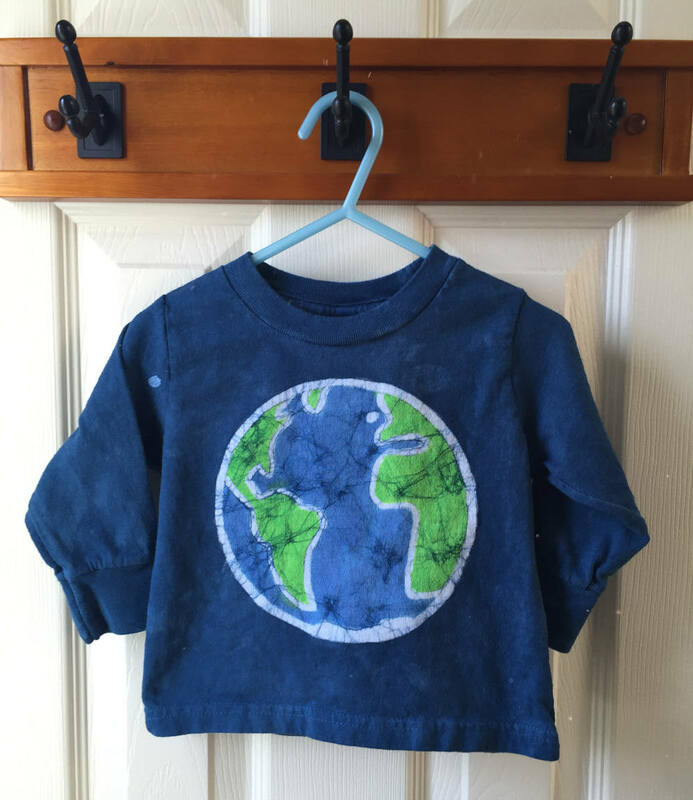 My husband drew my globe design for me, and I love this big design on little kids' shirts. 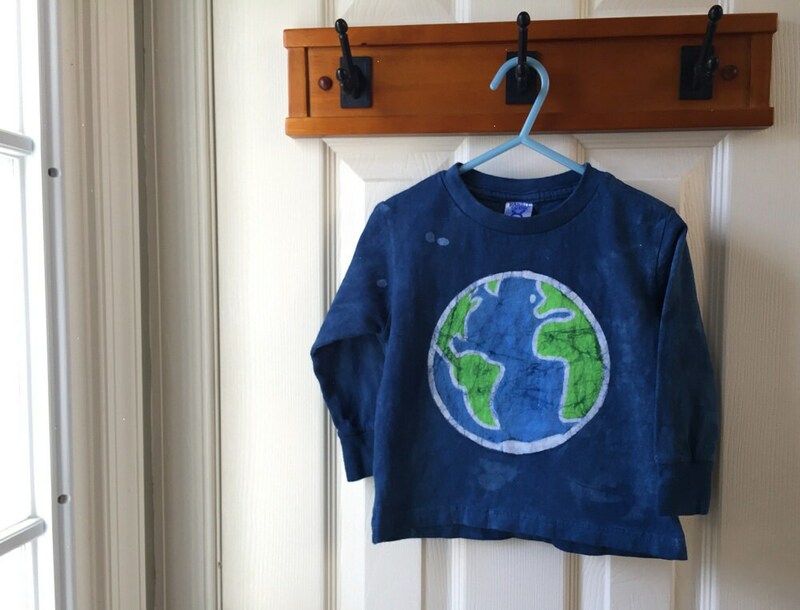 I paint the Earth bright blue and green, and when it is dry, dye the shirt in dark cobalt blue. 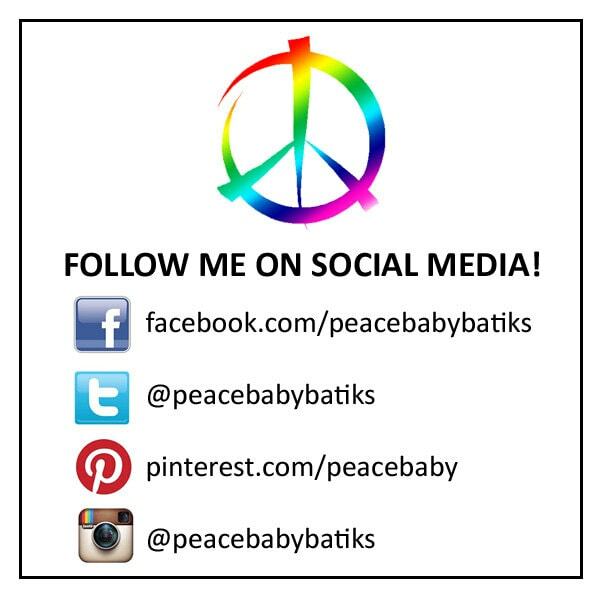 This just might be my new favorite design! 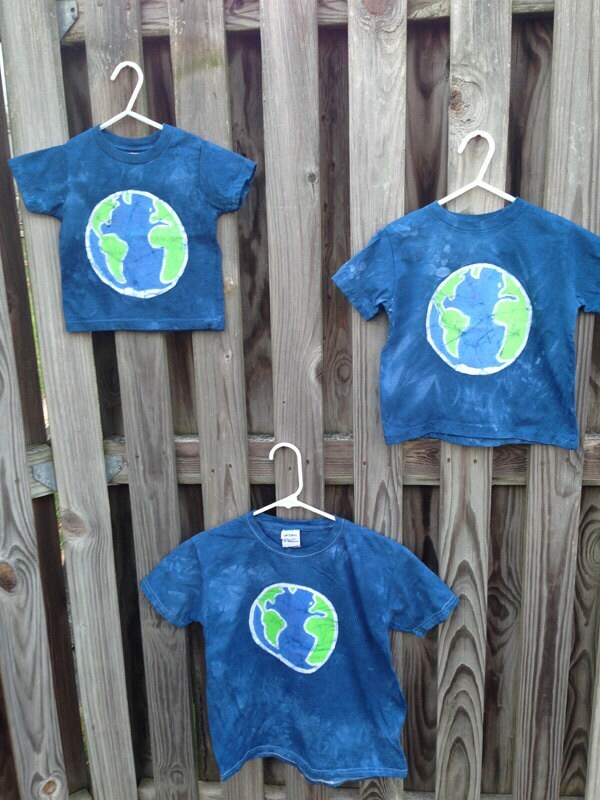 Made to order in 18m, 2T, 3T, and 4/5 in short sleeves or long sleeves. 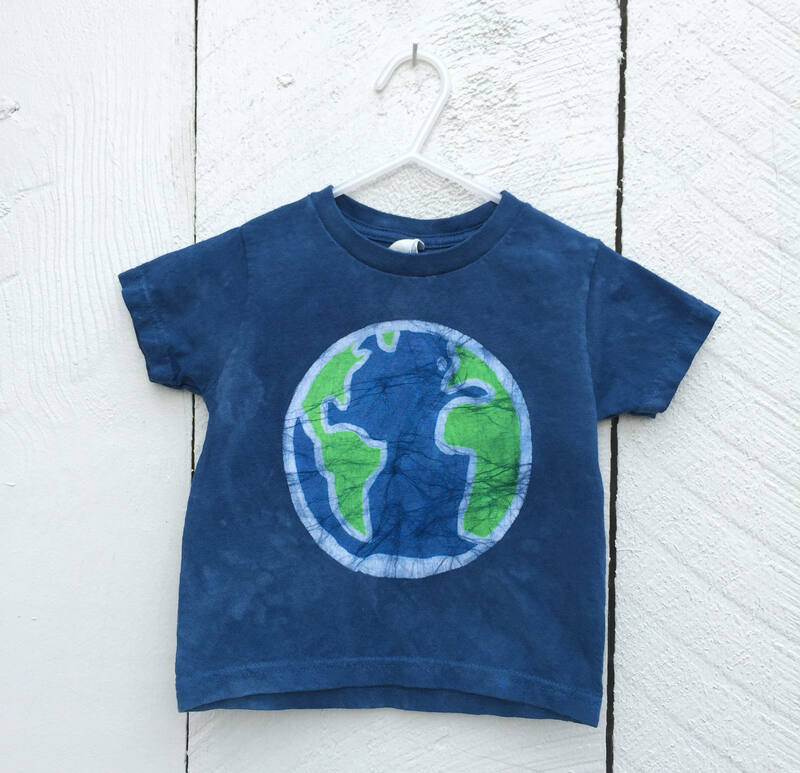 Perfect little tee for my Earth Day boy!